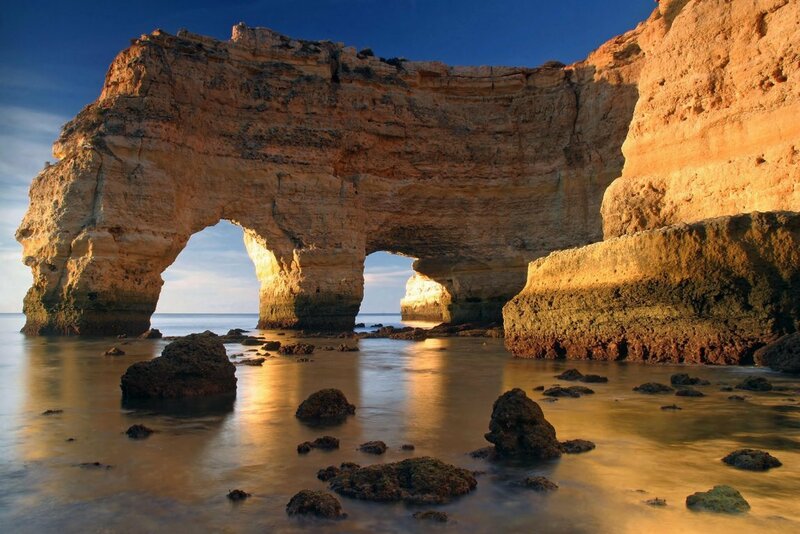 The Algarve has many beautiful beaches. From highly popular beaches to more secluded ones. From beaches surrounded by red impressive rock formations to flat beaches surrounded by dunes. 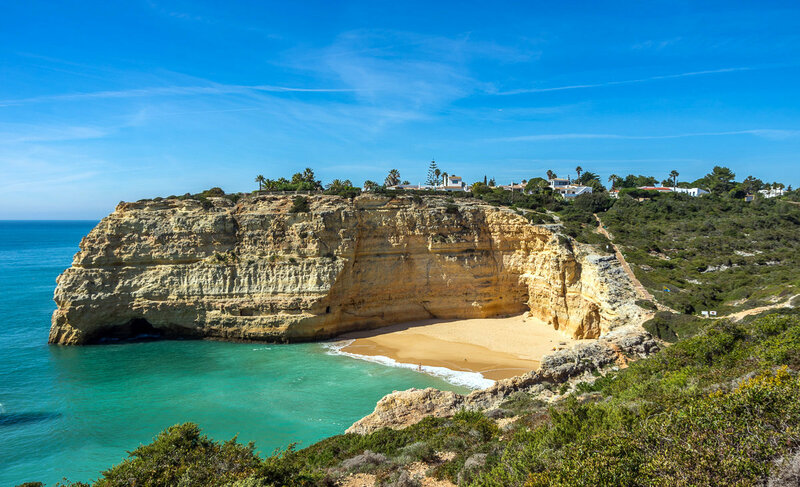 In this article we will give you our top 10 beaches of the Algarve. If you have the chance, make sure you visit these beaches. Praia dos Três Irmãos (translated ‘beach of the three brothers’) is a beach in Alvor, near Portimão. The beach is named after the 3 characteristic rocks on the beach. The beach has several caves, where kids usually love to play. This makes it a perfect beach for families. 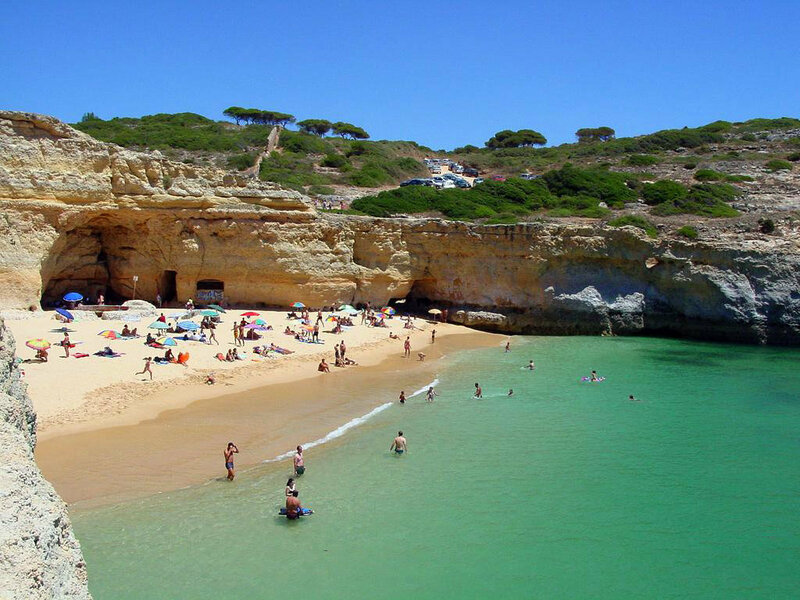 Praia do Martinhal is a beach near Sagres. 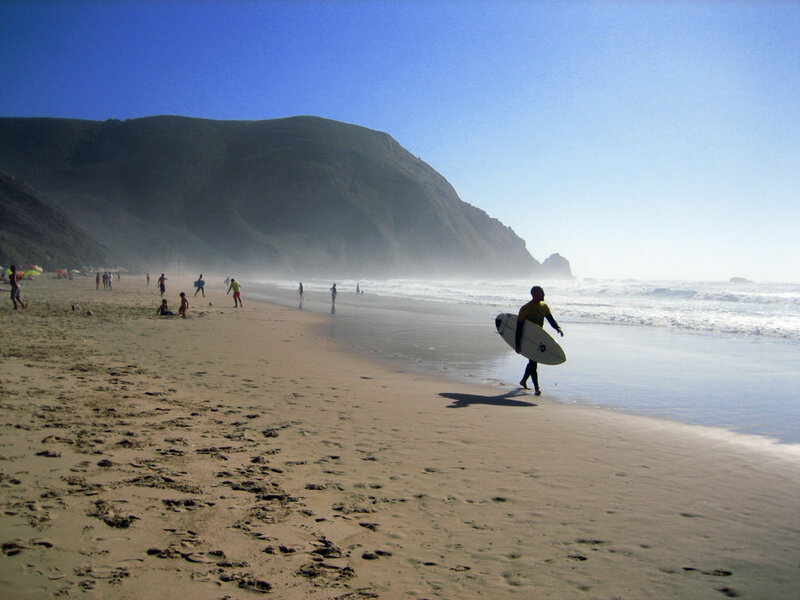 It attracts a lot of surfers, as the surfing conditions on this beach are great. The beach is furthermore surrounded by beautiful nature. 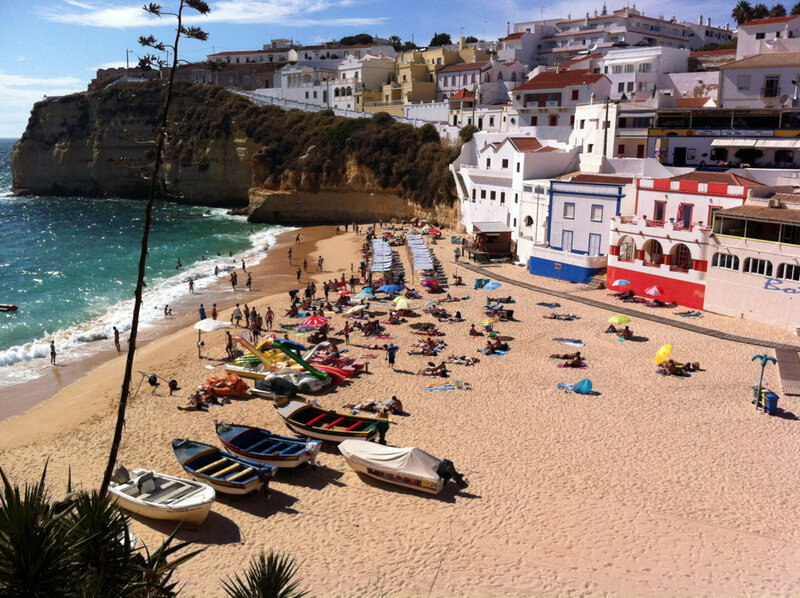 Praia do Carvoeiro is the main beach of the former fishing village Carvoeiro, near Lagoa. The beach is small, but is surrounded by colourful houses and rocks. There is a great atmosphere on the beach. 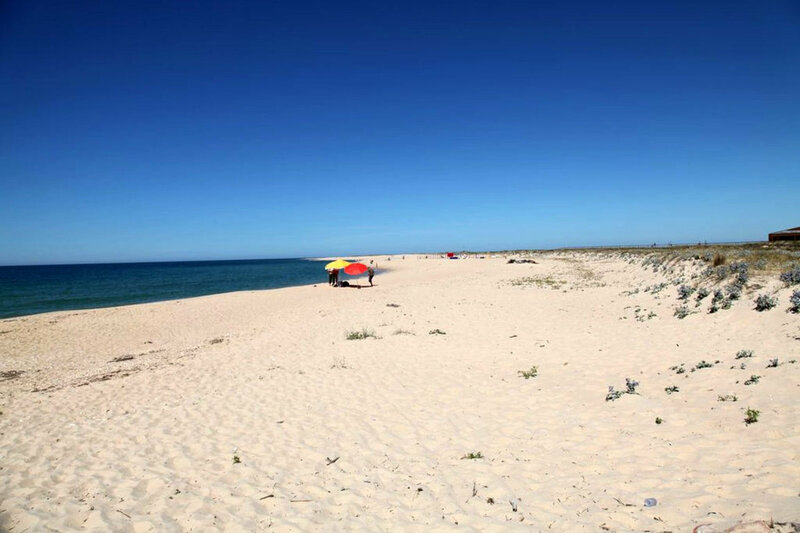 Praia do Carvalho is a small beach, but known for its beauty. The sand is soft and the water is transparent and calm. Around this beach there is also the opportunity to jump in the water from several rock formations near the beach. 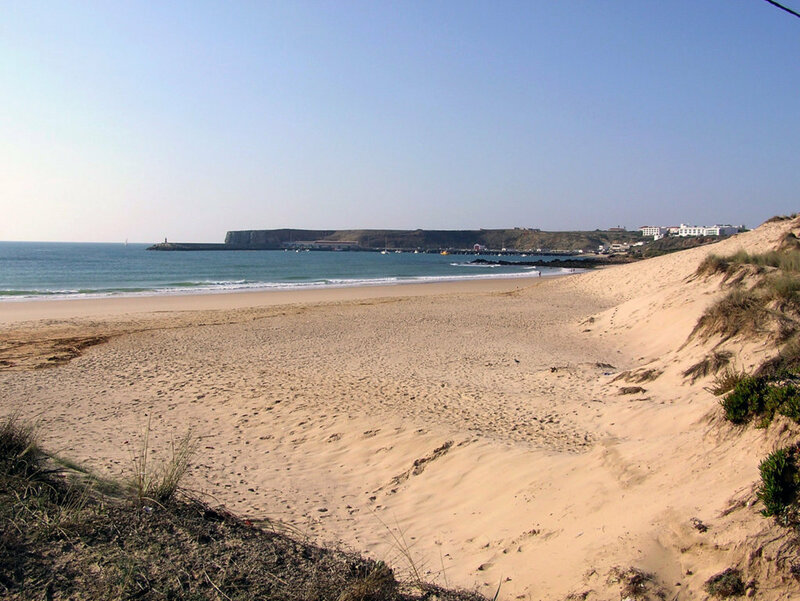 Praia da Rocha (translated as Rock beach) is a popular beach in Portimão. 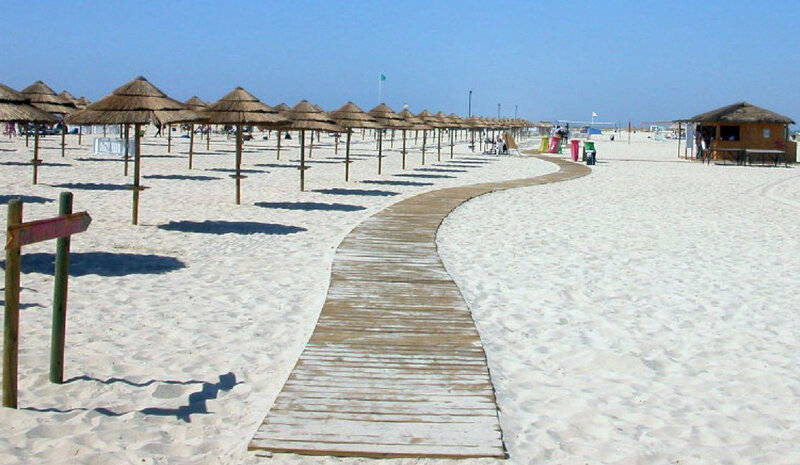 During the summer, the beach is usually packed with tourists. However, the beautiful surroundings make up for it. This beach is also perfect for long walks along the sea. 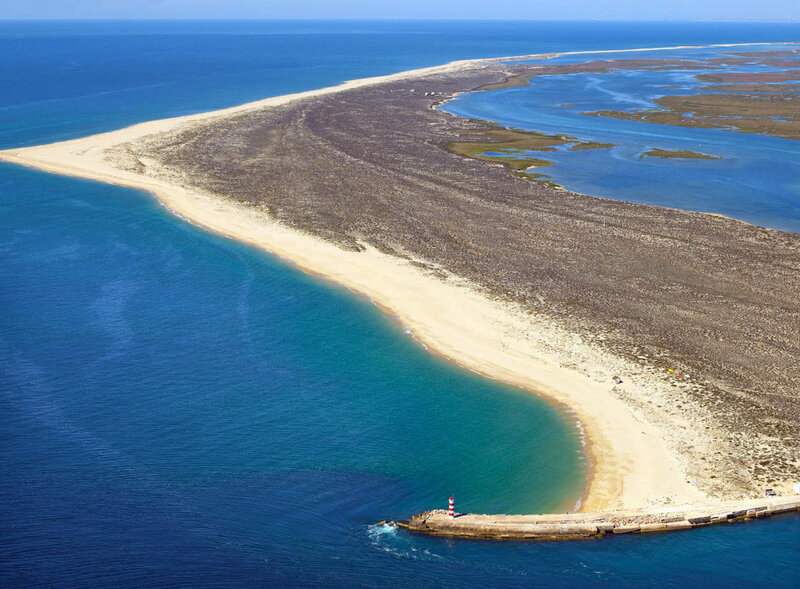 Ilha Deserta is an island near the coast of Faro. There are no permanent residents on this island. This island can only be visited by boat. If you visit this island, you will easily find a part of the beach with almost no visitors in sight. 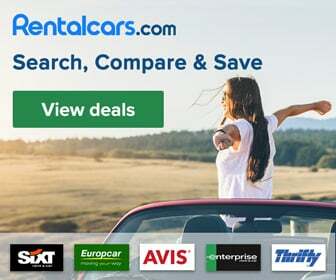 This makes the island perfect for a daytrip. 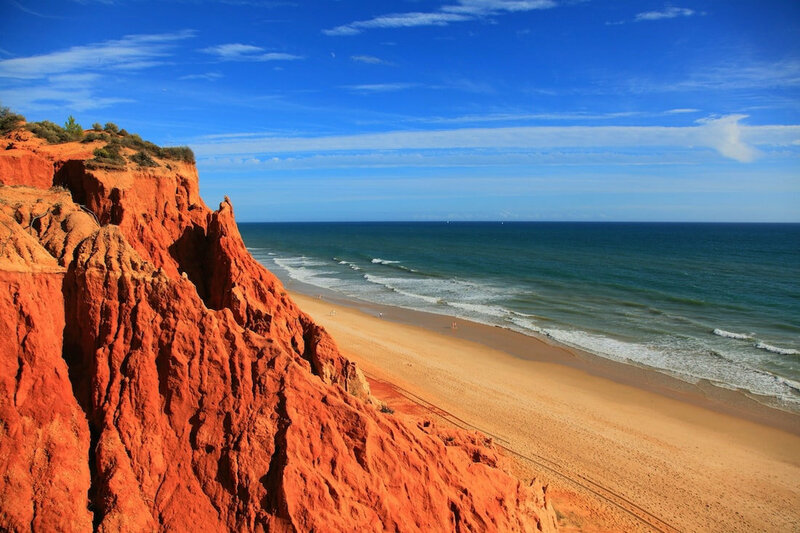 Praia da Falésia is long beach that stretches from Albufeira to Vilamoura. 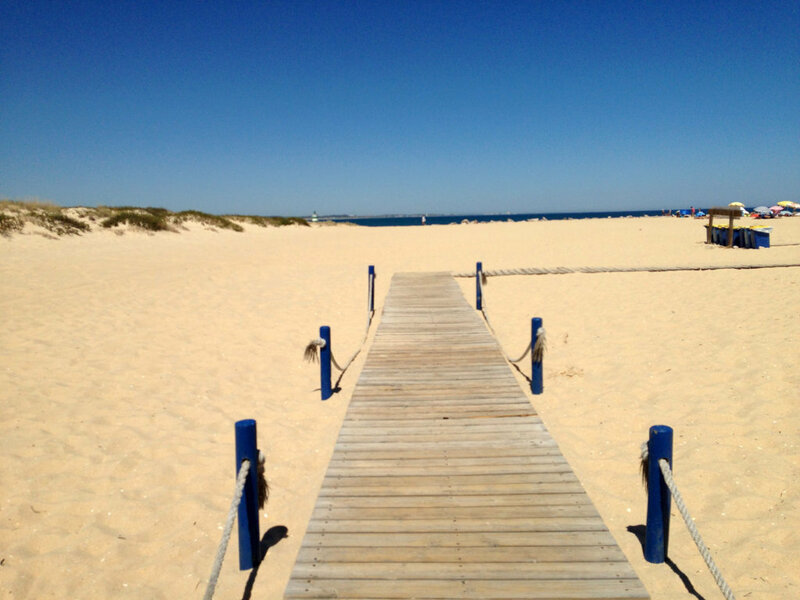 On the side of Vilamoura, the beach is long, wide and the water is shallow. 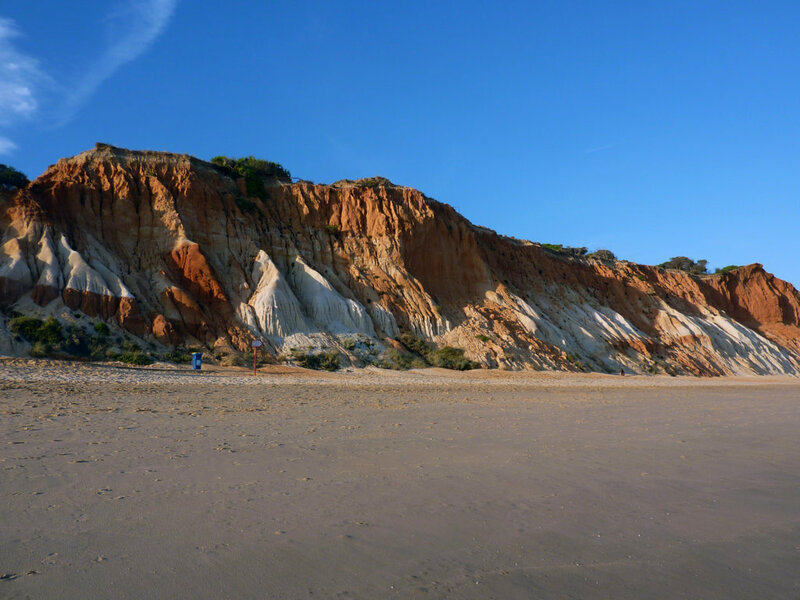 When you walk towards the side of Albufeira, you will see impressive red rock formations, that make this beach a spectacular visit. Ilha de Tavira is an island near Tavira. The island is known for its beauty. It attracts quite a few tourists and is a perfect place to visit for families. 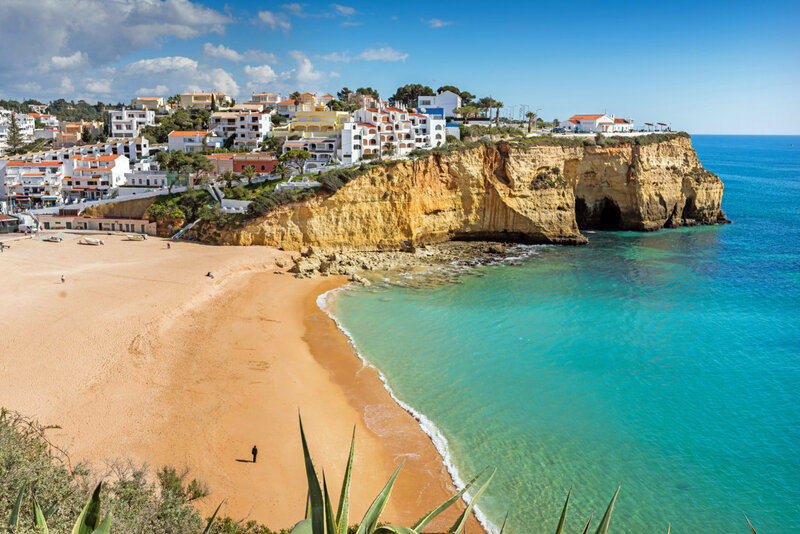 Praia da Dona Ana is also a very popular beach in the Algarve. The beach is small and surrounded by high cliffs. In 2015 some work was done on the beach to enlarge it. 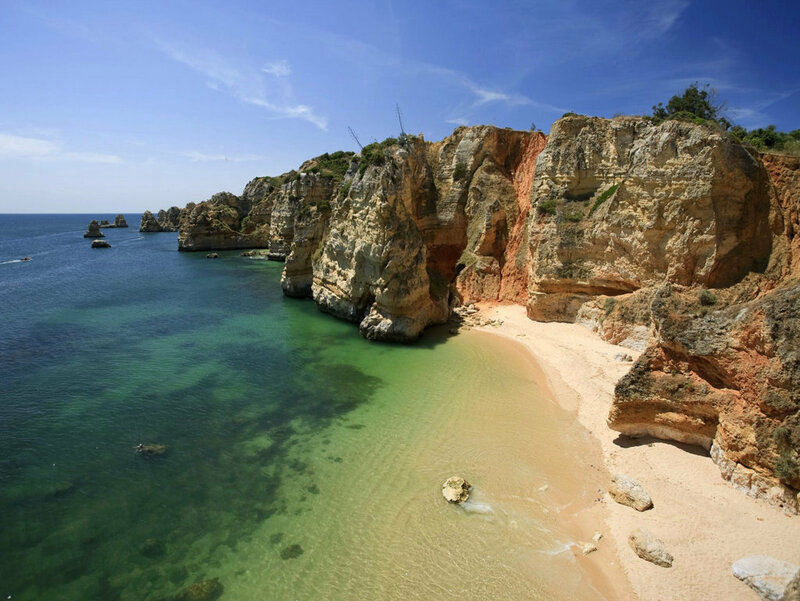 Praia da Marinha is one of the most famous beaches in the Algarve. This beach appears on many postcards of the region. 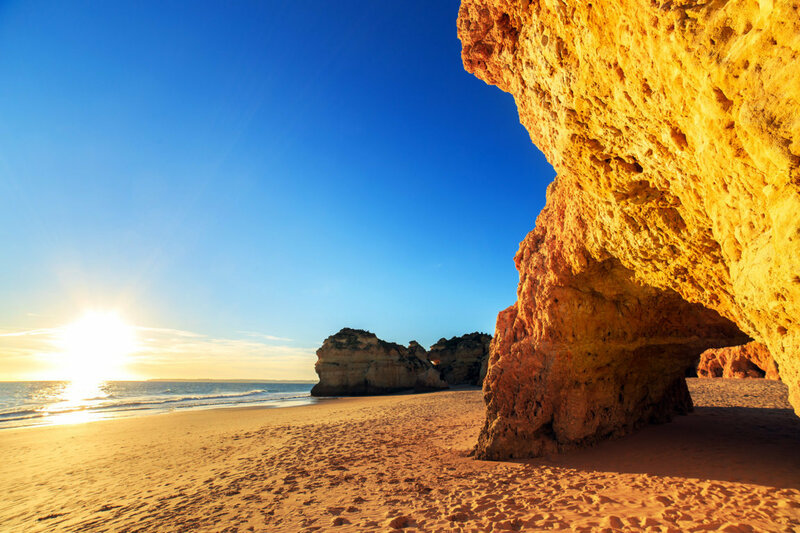 The rock structures around this beach make this one of the most memorable beaches you can visit in Portugal.